Directions: Click on the links below to review the FAQs about the Travel and Intramural programs (if needed). In the new window that appears "How do you want to register"
After entering "1" in the FAMILY BOX, you can then select the number of children you are registering for each program. The fee will be automatically calculated based on number of registrants. All incoming TRAVEL 4th graders and NEW players MUST buy a new jersey and shorts. 4th graders do not enter a jersey number. Purchasing of jersey / shorts is optional for all other travel players. All Intramural players receive a Jersey and are not required to purchase one. After entering all information you will be able to pay via Credit Card, Debit Card or Debit from Checking / Savings. Please DO INCLUDE your email address under "YOUR CONTACT INFORMATION", then click on "I agree" and "Submit Your Payment"
Note: For the 2018 – 2019 season - all registration will be done online. There will be no paper registration. 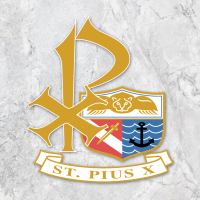 For additional information on our CYO program, click here.